#ettChat with Tom Daccord: Where do you begin when making a tech implementation plan? 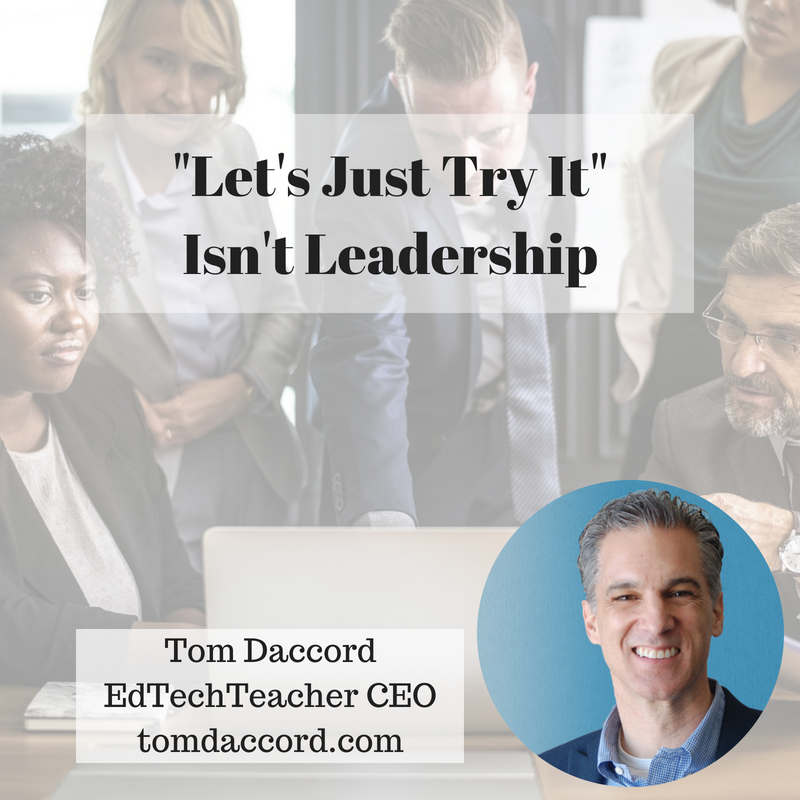 This month, we explore Leadership, and ask Tom Daccord, Director of EdTechTeacher, what the top questions he gets asked from Leaders in schools implementing technology programs. Is Your 1:1 Program Destined to Fail? Learn with Tom this Summer OR invite him to your school or event.